Today’s Prompt: Health Activist's Choice. Write about whatever you want! 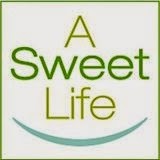 The Dallas diabetes community has been a letdown for me for a long time. The JDRF events are attended by the same few parents of type 1s with whom I have no spark, they're always held far from my home, and the adult events often include a happy hour (I don't drink, I'm sporting a toddler, and I'm pregnant, so that's never been a big draw). So when my local Omnipod reps wanted to host an Omni-Party practically down the street from me to bring together a lot of pod users, other pumpers, and people with diabetes, I was SOLD. 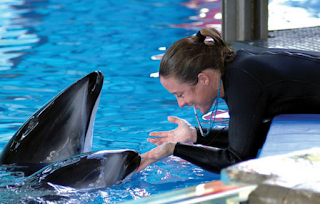 The highlight for most people - kids, parents, and adult PWDs - had to be Robyn Cox, dolphin trainer at Sea World San Antonio, who has had Type 1 since age 13. She talked about her training and how hard it was to get SCUBA certified and convince the staff doctor that she could dive safely. She even briefly mentioned starting the Omnipod in order to get pregnant and mentioned her three year old son. I didn't get a chance to talk to her. I actually could have several times. But I knew I would want to talk to her for HOURS. So I stopped myself. I let the kids line up to get their Orca cards autographed. I love that there are adults like Ms. Cox talking about living well with Type 1. That's what I have NEVER seen at a JDRF event in Dallas. I've seen lots of parents looking at me quizzically, wondering which complication I have or what I'm selling if I start to talk about the online community. Everyone I saw at this event - with no exception - is someone I know now in my metroplex BECAUSE of my online interactions. There were sweet Cindy and cool Carrie, both of whom found me on TuDiabetes and scheduled IRL meetups over brunch or coffee. There was delightful Cheri, one of my friends from Twitter and DSMA, whom I was stoked to finally meet in person. There were the D-parents who are heavy hitting D-mom bloggers - Joanne from Death of a Pancreas and my friend Laura from Houston...We Have a Problem. There were the parents I know from the DFWFOTOD (DFW Families of Type 1 Diabetics) yahoo group whose emails I respond to whenever I can provide input - Kerri, Shauna, etc. I felt instantly at home. Every time I turned around, I bumped elbows with someone I knew or had been meaning to know. I didn't have time to drool over the dolphin trainer. There were vendors there - Dougherty's Pharmacy, Meals to Live, Dexcom, and Tyler Type One. I went home with some cool glucose pixie stix from Meals to Live, chatted up the Dex rep, and am excited that TTO might be able to help us grow the community here. They're an organization that shows up at the hospital for newly diagnosed T1s and provides a care basket with info and carbs for treating lows so that the families go home armed and supported. For the first time since I was diagnosed 21 years ago, I found myself looking forward to counting myself among the diabetes community in Dallas. It's odd that it had to start globally for many of us before we realized we had it locally, too, but maybe, just maybe, we've got some fun times ahead. Great post --- I loved every moment of the OmniParty. I was totally overwhelmed and wished it could have lasted longer so I could have had time to chat with everyone there! Ahhh - Cheri's comment above just made me tear up. It was so awesome to meet Cheri! It was good to see you, although I was so preoccupied by Elise's BG being in the 500s I couldn't really enjoy myself. I love the idea of being there at the hospital for a newly dx'd child. It would have meant the world to me if we had had something like that. I'd love to be a part of it if it happens! P.S. When are you due again?